Celebrating the life of Fred Avery Short, Sr.
Obituary for Fred Avery Short, Sr.
Fred A. Short, Sr., age 77, of Elizabethton, Tennessee went home to be with his Lord on Tuesday, March 12, 2019 at the Johnson City Medical Center following an extended illness. A native of McDowell County, West Virginia, Fred resided in Oakwood, Virginia until 1988, then moved to Elizabethton, Tennessee. He was the son of the late William Perry and Bessie Mae Short; and his late step-mother, Virgie Short. 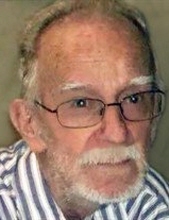 In addition to his parents, he was preceded in death by his wife, Yohallo Winchester Short; a son, Marvin Allen Short; two brothers, Perry William Short, Jr and Norman Short; a sister, Elouise Irene Short Little; and two great grandchildren, Neveah Miracle Wright and Averie Yohallo Wright. Fred was a member of the Higher Ground Holiness Church of Johnson City, Tennessee. He was a retired coal miner, former employee of Jewell Smokeless, a former truck driver and served his country proudly as a veteran of the United States Air Force. Those left to cherish Fred’s memory include his son, Fred Avery Short, Jr. and his wife Candace, of Elizabethton; his daughters, Teresa Sue Tressler and Carol Lynn Short, both of Elizabethton; three sisters, Dolores Thomas, of Middletown, DE, Helen James, of Woodland Beach, DE and Gaylene Justus, of Abingdon, VA; one brother, Marvin Ross Short, of Oceana, WV; seven grandchildren, Jessica Wright, Justin Proffitt, Tiffani Yontz, Brittani Proffitt, Joshua Short, Jenny Tressler and Caleb Short, all of Elizabethton; seven beautiful great grandchildren; several nieces and nephews that he adored; and he was more than a brother-in-law, he was a brother to the Winchester family. He was PaPaw to all! A memorial service to celebrate the life of Fred A. Short, Sr. will be conducted at 7:00 PM on Friday, March 15, 2019 in the Riverside Chapel at Tetrick Funeral Home, Elizabethton with Reverend Billy Wayne Winchester, Jr., officiating. Music will be provided by Brandi Winchester. The family will receive friends from 6:00 PM until 7:00 PM in the funeral home chapel, prior to the service on Friday. The family will also hold a memorial service at 2:00 PM on Saturday, March 16, 2019 at the Shortridge Ramey Funeral Home Chapel in Keen Mountain, Virginia. The family will receive friends from 1:00 PM until 2:00 PM prior to the service. Military Honors will be conducted by the United States Air Force Honor Guard at the funeral home. The graveside service will follow in the Meadows Cemetery in Oakwood, Virginia. Active pallbearers will be: Justin Proffitt, Joshua Short, Caleb Short, Brandon Winchester, Noah Winchester, Michael Justus, Peyton Simpson and Alex Yontz. Family and friends will travel together in procession to the cemetery. Online condolences may be sent to www.shortridgeramey.com and www.tetrickfuneralhome.com. "Email Address" would like to share the life celebration of Fred Avery Short, Sr.. Click on the "link" to go to share a favorite memory or leave a condolence message for the family.